Want to be the center of attention? 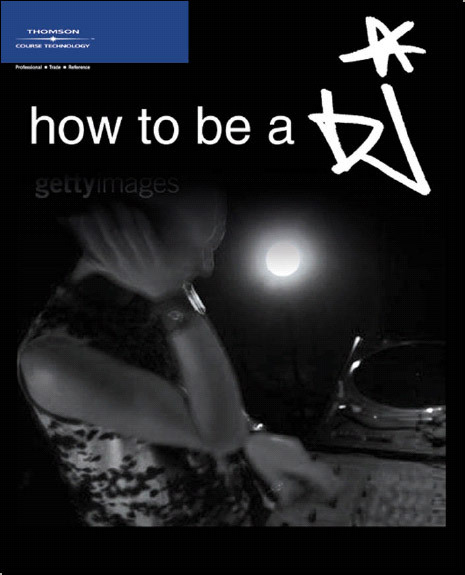 For everything you need to know, get HOW TO BE A DJ! Finally, you can learn all about three separate DJ disciplines in one convenient place! Get a jump on everyone else and learn what you need to break in and succeed as a radio DJ, a nightclub DJ, or a private party DJ. 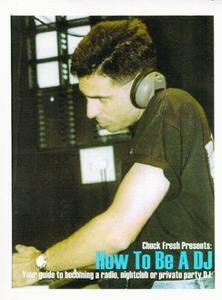 This amazing book tells all the secrets that DJs have been hiding for years. Now you can have all the information it took us years of trial and error to perfect right at the start. Learn all about beatmixing, the basics of scratching, how to get a job in radio, how to properly DJ a wedding, super secret marketing techniques, sound system basics, the MP3 craze, different music, and effective letters and forms. Chuck Fresh has 20 years’ experience as a private party, nightclub and bar, and radio DJ and currently works as a nightclub consultant. Fresh has been featured in numerous DJ and nightclub magazines, including Nightclub and Bar Magazine, and he is the author of Make Some Noise, Wild Party Contests, and A DJ’s Guide to Latin Music. Fresh now resides in Melbourne, Florida, and is a nationally recognized voiceover talent. He also runs Bar Marketing, LLC and The DJ Resource, providing party games and promotional services to nightclubs, bars, and DJs all over the world. offers what I offer, but I imagine they'll copy me once they find out what's going on! Great explanation on the pros and cons of vinyl too. I almost went vinyl before I realized the benefits of CDs, and now you can even play and scratch with CDs too. The music lists in this book are from a few years ago, but that is actually a bonus, because most of the folks at my mobile DJ gigs are a little older and complimented me on my (well, the author's) music selection. I am quickly building a profitable business that would have taken me much longer without the information in this book! I would give it 10 stars if I could! I HIGHLY recommend reading this book, even DJs who think they already know everything. This was the best [money] I ever spent! As a middle aged white male who's taste in music runs from The Mills Brothers to The Smothers Brothers I have always found it difficult to "make the scene" as the kids today say. That is until I read this book. Not only is it an invaluable resource if you want to be a DJ but you can also learn a lot about current primative culture. After getting my tongue, nose and eyebrow pierced, assorted tribal tatoos I now wear my extra baggy bermuda shorts hanging off of my buttocks, my "gone fishin" baseball cap sideways and have ditched my wingtips for a pair of gymnasium sneekers. Much to my brothers delight I just DJ'd my nieces 16th birthday and I believe I was bad (which to kids today means good). 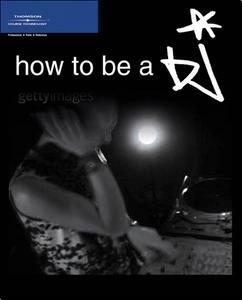 So get jiggaly wit it home boy, pick up this book and get the 411 on the DJ life. Far out!!! After reading in one of this author's other books that being a DJ is one of the top-10 jobs to get a date, I thought I'd pick this book up to see what being a DJ is all about. Very interesting stuff! 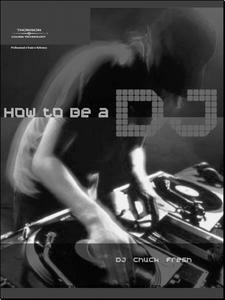 This book explains how to get into being any kind of DJ you want - radio, clubs, bars, weddings, bar mitzvahs, internet. He covers equipment, music, marketing and more. The marketing section was of particular interest - a friend of mine is getting married in a few months, and I found a few add-ons in this book that he asked his DJ about. The book is funny too, detailing some of the author's strange personal experiences. Great stuff!